The M.E. 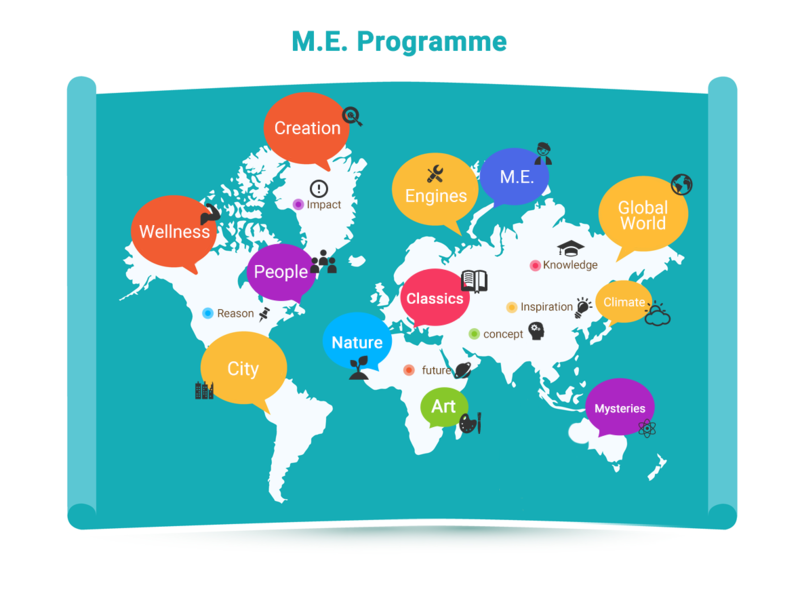 Programme is a Content and Language Integrated Learning programme, based on language learning through interactive, theme-based activities and play. We promote learning in both English and Putonghua so students are encouraged to participate in two classes, one in each language. This not only reinforces knowledge learnt to create stronger memories, it also allows students to explore and become sensitive to the differences between each language, to have a broader scope of knowledge, and to become more internationally minded. This is an exploratory stage where students try different sensory activities and are exposed to the language. Toddlers are still unable to speak at this stage, class is focused more on physical activities, imitation and observation. Teachers use physical objects, body language and verbal cues to aid instruction. This is a very critical period where toddlers are fast learners. This is the stage where they start to walk and speak, so they are extremely curious of the environment and are always motivated to make sense of it. This stage is focused on increasing vocabulary base, encouraging verbal expression of thought and sensitivity to reading letters. Articulation and speech exercises are incorporated into each lesson to allow students to exercise their vocal organs and to promote more accurate pronunciation. At this stage, students should already develop a good foundation of language and have a solid vocabulary base. This stage focuses on extending on their language ability and focus more on practical language learning. Phonics and Pinyin are taught at this stage to aid students’ reading and writing skills. In Putonghua, correct stokes will also be taught. Incorporating grammar into class activity is also a main focus. As students are already proficient, learning is extended into learning about more abstract concepts.